At Freedom Glass Company, we will help you understand your vehicle’s glass damage and give you the best advice on fixing it. Our work is guaranteed for as long as you own the vehicle and is competitively priced. We provide all types of auto glass repairs to all vehicles: cars and trucks, heavy equipment, SUVs, RVs, boats and classic cars. As auto glass experts who serve the Mooresville, North Carolina area, our priority is always customer satisfaction. When you turn to us, whether you need to replace your windshield entirely or just have it repaired, we will only use products we know and trust and get the work done in a timely manner. However, this doesn’t mean that we ever sacrifice the quality of our workmanship. 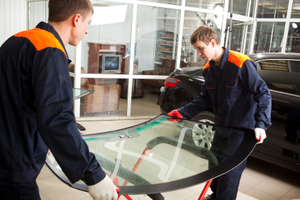 One of the main things that sets us apart as auto glass experts is the fact that we offer mobile services. We realize that life gets busy and want to help you take care of your windshield repair or replacement needs in a way that’s easy and convenient. All you have to do is let us know that you’re interested in our mobile service, and we’ll set up a time to come to your home and take care of your windshield. With over 40 years of experience in the industry, you really can’t go wrong turning to us. For more information about what makes us stand out as auto glass experts or to schedule an appointment, contact us at Freedom Glass Company today.